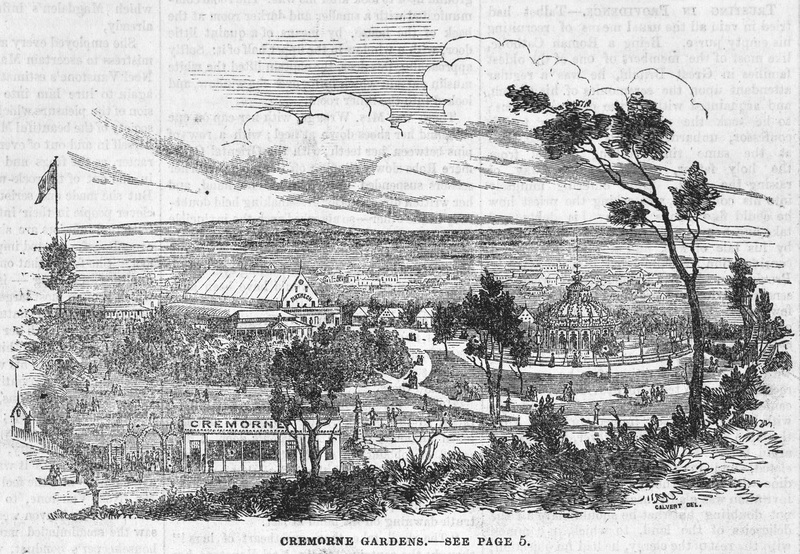 Opened in 1853 on the banks of the Yarra River, the Cremorne Gardens was Melbourne’s first amusement park. Established by Englishman James Ellis, the gardens were to imitate the joys of the pleasure garden popularised in England during the 19th century. The English pleasure garden was a site of theatrical entertainment and adult amusements, and most popular of the period was the London home of the Earls of Cremorne, whose house and gardens in Chelsea became known as the Cremorne Pleasure Gardens. 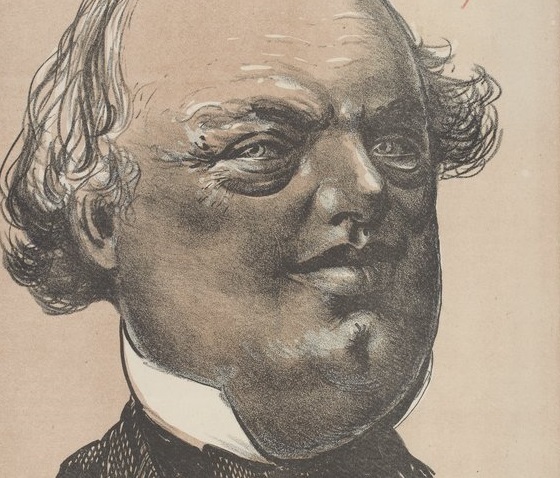 James Ellis took over the licence in January 1845 and hosted concerts, firework displays, balloon ascents and dancing, all typical amusements of pleasure gardens from this period. Ellis left for Australia, chasing the splendour of the goldfields. 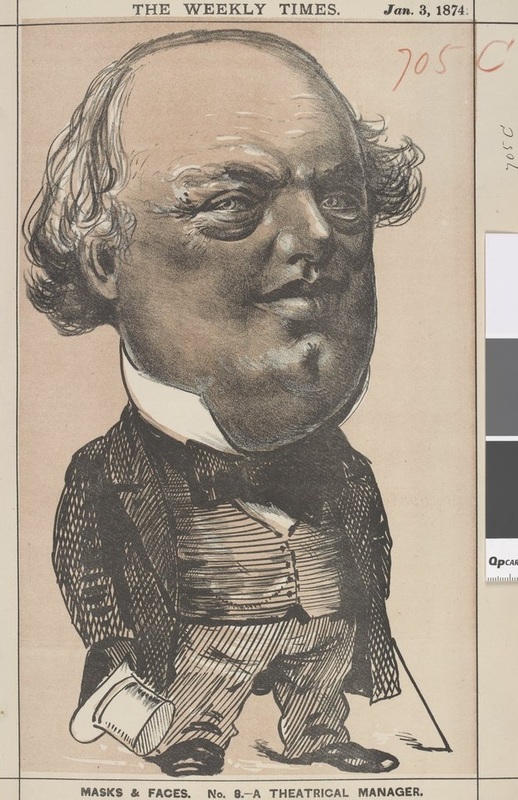 In Melbourne, he brought theatre and spectacle to the banks of the Yarra River with the opening of the Cremorne Gardens – from firework displays and large dance floors to Swiss staircases winding around tall trees. 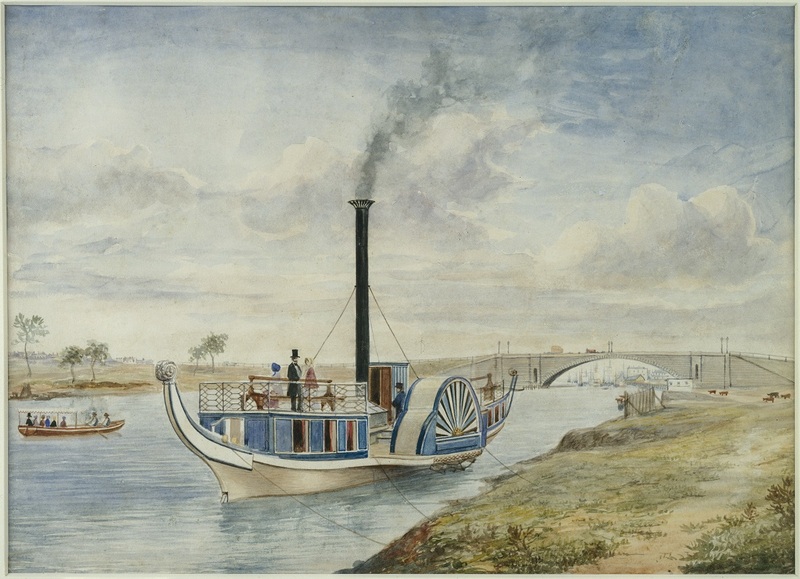 With the introduction of the paddle-steamer Gondola in 1854, pleasure seekers were able to travel from Princes Bridge to the gardens along the Yarra River. Upon arrival, visitors were charged an entrance fee of between a half crown and one shilling. The exploit is indeed wonderful and exhibits an amount of physical intrepidity rarely to be found in a lady. During a visit to England, George Coppin recruited two aeronauts, Charles Brown and Joseph Dean, to partake in Australia’s first ascent of a hot air balloon. On 1 February 1858, Coppin’s balloon, the Australasian, rose from the gardens to 3000 feet, flying for half an hour and landing on Heidelberg Road. The intended copilot, Brown reportedly jumped out at the last minute due to strong winds and escaping gas. Modelled panoramas were introduced to the gardens by former proprietor Scott, who employed a number of scenic artists to construct panoramas that changed annually and coincided with global events. The first for 1856–57 showed the eruption of Mount Vesuvius near the city of Naples. Between 9 and 10 o’clock every evening the volcano would erupt, with imitation red lava accompanied by a fountain of fireworks. Cremorne Gardens was open every day of the week between 10am and 11pm. In the evenings, the ‘pleasure gardens’ were notorious for being a romantic rendezvous for less ‘respectable’ visitors. Frederick Charles Standish, Assistant Commissioner of the Goldfields and later Chief Commissioner of Police in Victoria, visited the gardens on two occasions during his visit to Melbourne in January 1857. On one occasion he recorded ‘went to Cremorne with Mrs Gibson; took her home’. The gardens were used by the Trades’ Unions for their Eight Hours Day Processions and Picnics. On 21 April 1857, workers and their families gathered in the gardens following a march through the city. Even once closed, Coppin reopened the gardens on 21 April 1863 for an Eight Hours Demonstration. Photographic documentation of the expanding colony was rare in the 1850s, so visual references to the gardens were often presented through illustration. 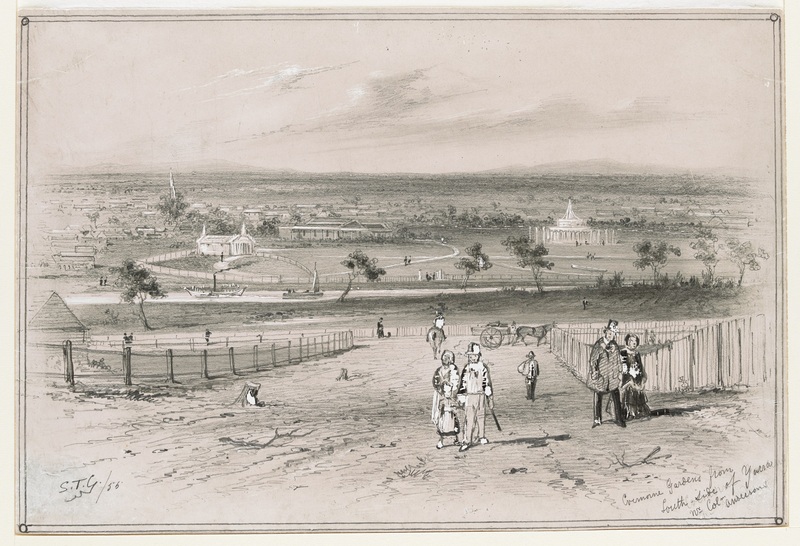 However, the Victorian Exhibition in 1861 presented an opportunity to display photographic views of Melbourne, including the Cremorne Gardens. 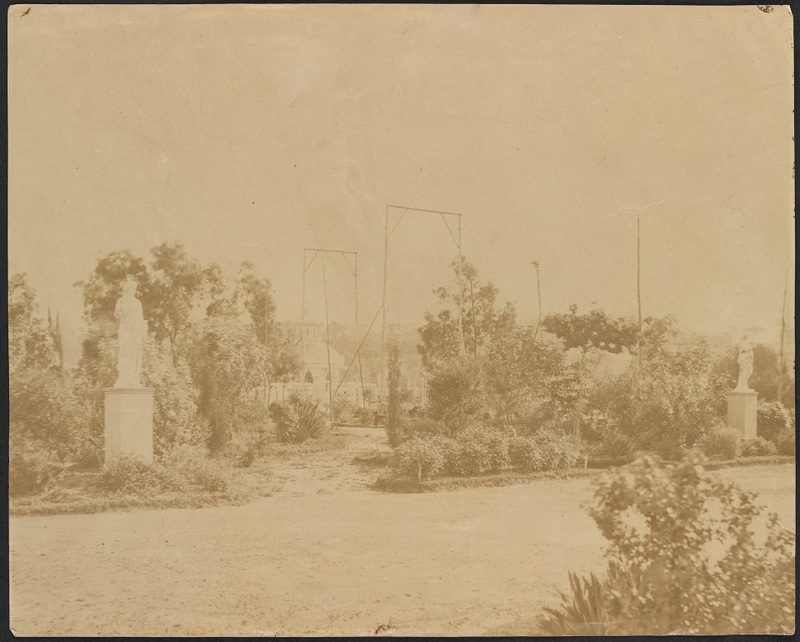 This photograph, taken by Cox and Luckin, was commissioned by the Richmond Council and shows the statues, rotunda and wooden frames used to hold lighting for night illuminations in the gardens. Cremorne Gardens was a spectacle of amusement that came at a cost. From 1859, Coppin became sole owner and Brooke took over the Theatre Royal. The gardens were described as a ‘bottomless pit into which money he had made elsewhere had been sunk’. With Coppin facing insolvency by the end of 1862, the gardens became an unsustainable business venture and closed on 9 February 1863. Its short but fascinating history offers insights into the pleasures of Melburnians in the 19th century. Discover more people, places and events that have shaped Victoria in the Changing face of Victoria exhibition, open daily on Level 5 of the Dome Galleries, overlooking the La Trobe Reading Room. Over the coming months we’ll also be featuring stories from the exhibition here in the blog – stay tuned. Wonderful article Kate. Who will recreate these gardens for us today? You have probably seen this but just in case.. I have an Australian Boys Annual called The Boy with an article about Cremorne Gardens. 1955. by Lexie Griffith. Just a little story based on the gardens and a map also. I was fascinated when I read it originally and look forward to seeing the exhibition. Hi Helen, I didn’t come across this while researching, so thank you for sharing – I will definitely read it. I hope you enjoy the exhibition. Did I miss something. I couldn’t see about where these gardens were, and what is there today? The gardens were located in Cremorne, near Richmond. Following its closure, the site was acquired by James Thomas Harcourt who established a private lunatic asylum in 1865. By the 1880s, the site was subdivided for housing and factories. Wonderful article. It’s amazing that someone is publishing such information. Thank you.